With the upcoming inauguration of the 45th President, the entire country is waiting with baited breath to see how Mr. Trump will run our country. There are many conversations around Mr. Trump’s foreign policy opinions, taxes, and more; but there’s another policy question we shouldn’t overlook: how will President Trump protect the consumer when it comes to hidden fees? A recent ABC News article highlighted the Consumer Federation of America‘s concerns regarding what Trump’s policy will be on “pocket-picking fees on goods and services” hiding in the fine print of contracts, agreements, and advertisements. We don’t know yet how the Trump administration will respond to such demands, but the CFA’s statement shows just how deep our hidden fees problem runs in the United States. For example, there’s the fact that only 1 in 1,000 people bother to read the fine print online, and an entire book on how companies use plain English to rob you blind. If President Trump’s White House does take on this issue, he will be continuing what President Obama’s Administration announced in December 2016, when they released the final report in the “Competition Initiative” focused on hidden fees. 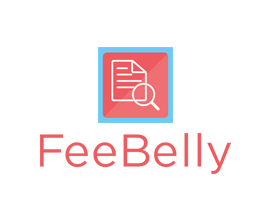 Regardless of what the next four years holds in terms of federal policy on hidden fees, FeeBelly is here to help consumers make educated decisions, comparison shop, and negotiate better by being your fine print detective – we read the fine print in contracts, financial agreements, leases, mortgages and more so you don’t have to! 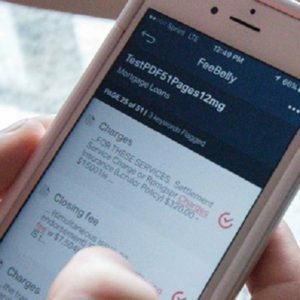 FeeBelly is currently available on the Apple Store, and coming to Android soon (sign up for updates).